If you're in the market for a new luxury car in Phoenix, 2018 Volvo V90 reviews suggest looking into this well-appointed luxury vehicle. Featuring a wide range of top-notch features, including navigation and premium leather upholstery, the wagon is a prime pick for those who want it all. And for Valley drivers who demand state-of-the-art safety features, the V90 is sure to meet and exceed your expectations. The 2018 Volvo V90 in Phoenix is offered in four trims: R-Design T5, Inscription T5, R-Design T6 and Inscription T6. Aside from the luxurious features already mentioned above, the vehicle is also automatically equipped with roof rails, Bluetooth, a USB port and a 9-inch touchscreen display that is strategically located in the center of the wagon's dash, offering easy access. You'll be hard pressed to find a single 2018 Volvo V90 review that doesn't applaud the vehicle's high-end engineering mechanics. For starters, the R-Design T5 and Inscription T5 models employ a 250-hp 2.0-liter turbocharged four-cylinder that puts out 258 pound-feet of torque. This energetic engine is mated to a smooth eight-speed automatic transmission that sends power to the front wheels. Next up is the 316-hp 2.0-liter turbocharged and supercharged four-cylinder that can be found on R-Design T6 and Inscription T6 models. 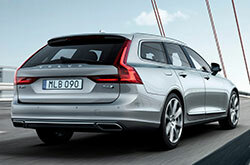 It can produce up to 295 lb.-ft. of torque, making it easy to pass others on the freeway. Every 2018 Volvo V90 in Phoenix is equipped with top-notch safety gear that is designed to help keep you and your family safe. Aside from its various high-quality airbags and antilock brakes, the vehicle also comes with various driver-assist technologies, including blind-spot monitoring, adaptive cruise control and lane keep assist, to name just a few of the many standards. 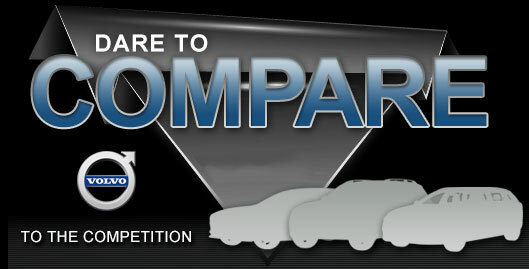 Optional equipment like a top-down camera system and parking technology can be had for an additional price. In the market for the 2018 Audi A4 Allroad Quattro, Volkswagen Golf SportWagen and the Subaru Outback? 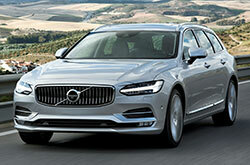 You should also visit Volvo Cars of Phoenix to take a look at the dapper 2018 Volvo V90 and find out why it's a worthwhile option. 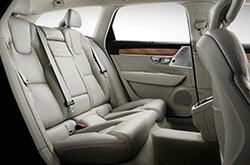 Its plenitude of features and inviting persona may be just what you in an everyday vehicle. 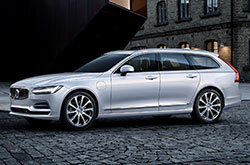 See if the 2018 Volvo V90 is a fit for your daily needs, then browse our website to find new information on financing offers. To see a standout selection of cars, come to us to find offers on the fashionable Volvo V90. When picking out a car, it's essential to make a knowledgeable choice; that's why we've included this 2018 Volvo V90 review perfectly fitted on our site. Stop by to be thankful for a test drive at Volvo Cars of Phoenix, where you can see the Volvo V90 upfront. Before you stop by, you can take a peek at its spectacular features by checking out the included video walk-around.